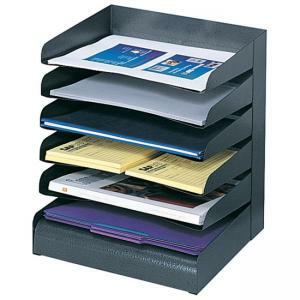 Classic office desk tray sorter offers contemporary finish. Slanted shelves feature finger notch-outs for convenient access. Decorative, textured powder-coat finish in black is durable and resists fingerprints.